It’s been crazy cakes around my house this week! My high schooler is back to school, doing what 16 year olds do and my college freshman hit the road and is now back in the dorm, ready for her second semester as a college woman. How did my kids get so grown up? This is a mystery I will never solve! Paper Piecing Vintage has been amazing so far, with lots of beautiful blocks and fantastic participation in the facebook group. 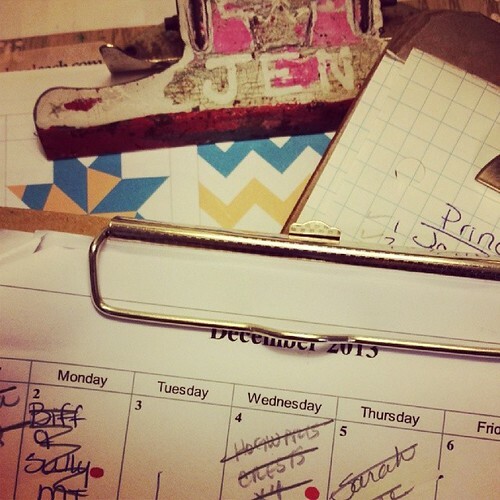 The crazy mistake I found during this week’s Talk To Me Tuesday has now been rectified. Whew! Now I just need backing fabric to finish up this little quilt of orphan blocks for The Linus Connection. As You Wish, the Princess Bride quilt and stitch along that I’m organizing on behalf of Fandom In Stitches, starts next Wednesday and has been keeping me busy every minute in between! Quilting is my job and my hobby, what can I say?! 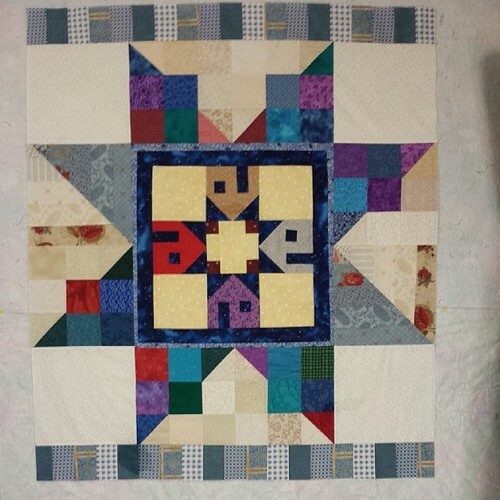 This entry was posted in paper piecing and tagged as you wish, fandom in stitches, linus connection, paper piecing, paper piecing vintage, quilt on January 10, 2014 by Jennifer Ofenstein. I’m so glad to see that Twilight mystery block go to good use! I absolutely love what you did with it!